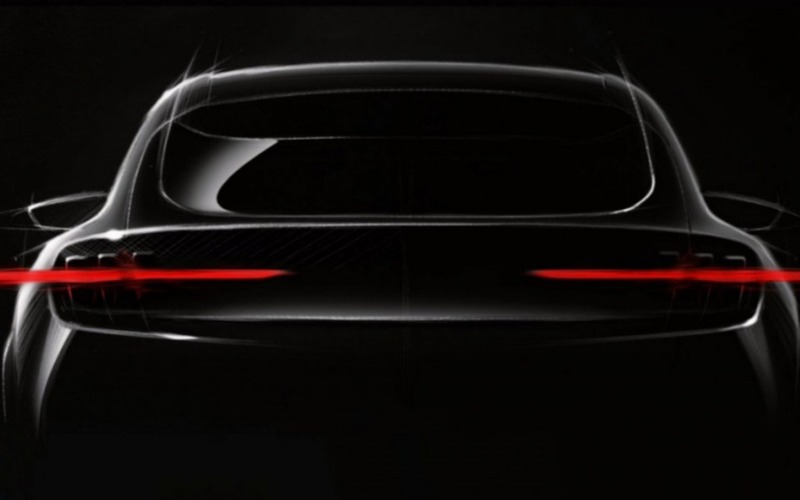 As the number of zero-emission compact SUVs and crossovers keeps growing, Ford is still very secretive about its Mustang-inspired electric SUV, which is scheduled to be released in 2020, possibly under the “Mach E” name. Details are few and far between, but an interesting bit of information was disclosed during a recent electrified vehicle introduction event in Amsterdam. While the company has previously expressed its desire to offer a range of about 480 kilometres, we’ve just found out that the vehicle will achieve 595 kilometres based on the Worldwide Harmonised Light Vehicle Test Procedure (WLTP). The actual rating for North America will be lower than that since EPA tests in the U.S. take into account different highway speeds and more use of air conditioning. The Nissan LEAF, for example, offers 15 percent less range here than it does in Europe using the WLTP standard. That would put Ford’s electric SUV at just over 500 kilometres, which would be extremely competitive not just among SUVs but all electric vehicles. The Hyundai Kona Electric has a range of 415 kilometres and the newly unveiled Tesla Model Y will be available with up to 483 kilometres. Volkswagen’s upcoming ID., meanwhile, is projected to offer around 550 kilometres. Even when you factor in the substantial loss of range typically caused by cold temperatures, Canadian drivers have reason to be excited. Ford said last month it will inject some $850 million in its Flat Rock, Michigan assembly plant, where the Mustang is built, to develop an all-new modular platform dedicated to electric vehicles. It’s part of an $11 billion plan to add 40 electrified vehicles to its lineup by 2022. Two of those were revealed this week when Ford introduced the completely redesigned 2020 Escape, which offers hybrid and plug-in hybrid variants, the latter with a range of up to 48 kilometres in EV mode. It also comes standard with a smaller 1.5-litre three-cylinder engine featuring cylinder deactivation technology for maximum efficiency.